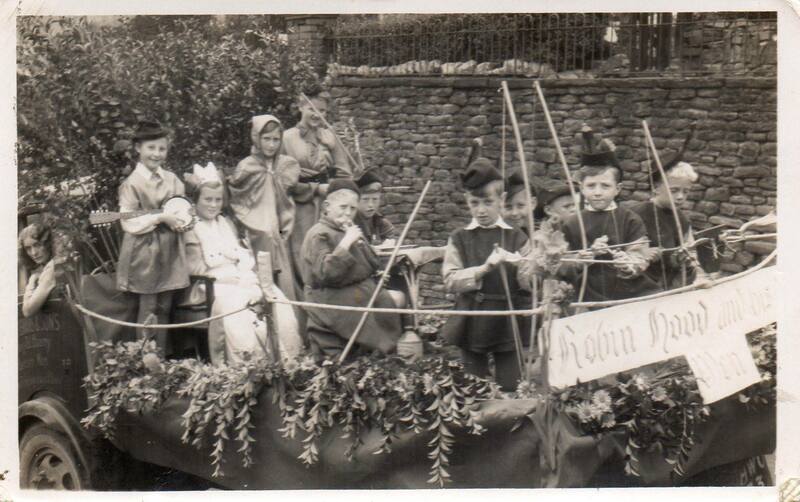 Pleasant View’s, “Robin Hood and his Merry Men” entry in Llanhilleth’s annual carnival in the mid 1950’s. Robin’s band were a mixed bunch, only 4 of the 10 characters lived on the street. Middle Row: Neil Sansom, Roger Sansom. Front Row: Rees Preston, Lyn Maloney, David Broome, Lawford Thomas, Unknown.